We are Ottawa's leading firm for New Home Warranty inspections. Rely on our experience for PDI, 30-Day, 1-Year, and 2-Year new home inspections, and assisting you with the Warranty Claim submission process. 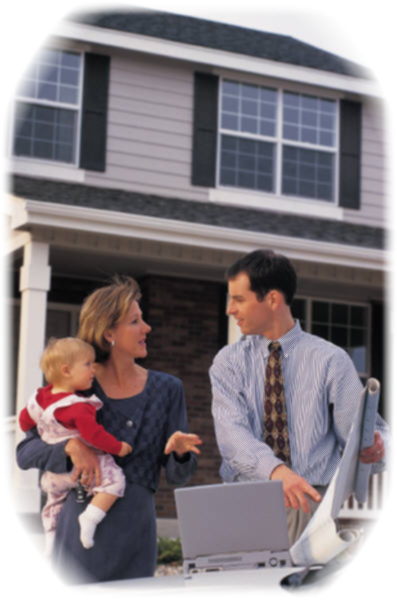 Our inspection process, knowledge, and detailed reports are designed to meet the unique needs of new home purchasers. Whether purchasing a home through a Realtor or through private sale, we strive to make the often complex decisions about the sale or purchase of a home simpler, by providing you with the information you need immediately, and helping you understand the current condition and concerns with the property being inspected. Join us during the property inspection process. We provide you with our comprehensive report on-site, and review our findings with you at the time of inspection. We are pleased to provide inspection services to Federal Public Service, Canadian Forces, and RCMP personnel and families moving to Ottawa under the Integrated Relocation Program. We are an approved supplier to the IRP relocation services program as administered by Royal LePage Relocation Services. Whether the home you ask us to inspect is new or old, whether we are acting to serve you as the property purchaser or seller, or whether you are relocating to Ottawa or changing homes within the Ottawa area, you can count on two things: we care about your needs as our clients, and we are passionate about how we serve your needs for information on the property that will be your home or business. We are Ottawa's leading firm for New Home Warranty inspections. Rely on our experience for PDI, 30-Day, 1-Year, and 2-Year new home inspections, and assisting you with the Warranty Claim submission process. Our inspection process, knowledge, and detailed reports are designed to meet the unique needs of new home purchasers. More . . .